Leading Exporter of ladies shawl, kashmiri ladies woolen shawls, ladies embroidered woolen shawl, ladies plain shawl and ladies woolen shawl from New Delhi. "KDR Woollen Industries", established in the year 1961, is known to be one of the leading manufacturers, suppliers and exporters of this commendable range of Woolen Garments and Yarns. The range consisting of Uniform Sweater, Woollen Jacket and Woolen Pullover, Ladies Woolen Shawl has a high preference in the market. Manufacturing of these done in accordance with the industry set norms and guidelines, using the finest fabric, wool and modern machines, highly standardizes the products. In addition, the offered range is widely asked for, owing to its reasonable pricing. "KDR Woollen Industries", established in the year 1961, is known to be one of the leading manufacturers, suppliers and exporters of this commendable range of Woolen Garments and Yarns. The range consisting of Uniform Sweater, Woollen Jacket and Woolen Pullover, Ladies Shawl has a high preference in the market. Manufacturing of these done in accordance with the industry set norms and guidelines, using the finest fabric, wool and modern machines, highly standardizes the products. In addition, the offered range is widely asked for, owing to its reasonable pricing. "KDR Woollen Industries", established in the year 1961, is known to be one of the leading manufacturers, suppliers and exporters of this commendable range of Woolen Garments and Yarns. The range consisting of Uniform Sweater, Woollen Jacket and Woolen Pullover, Full Sleeve Sweater has a high preference in the market. Manufacturing of these done in accordance with the industry set norms and guidelines, using the finest fabric, wool and modern machines, highly standardizes the products. In addition, the offered range is widely asked for, owing to its reasonable pricing. 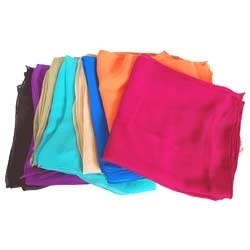 With our firm commitment to quality, we are also engaged in offering an extensive range of Ladies Plain Shawl to meet the needs of our clients. The looks of these shawls is very simple and elegant. These shawls are designed as per the modish appeal and latest trends. 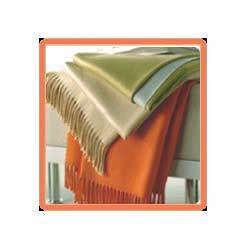 Perfect finishing, unmatched quality and smooth texture are considered some of the main features of these shawls. To fulfill the miscellaneous requirements of our esteemed clients, we are engaged in offering a wide range of Ladies Woolen Shawl. The complete range of our products is manufactured using premium grade base material bought by the reliable and authentic vendors of the market. All these shawls are available in elegant designs. 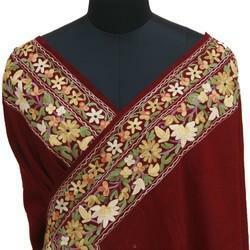 These shawls are designed by options different painting patterns and embroidery. 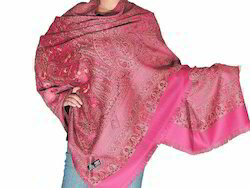 Looking for Ladies Shawl ?